Finally, Ladd McNamara is living in reality. 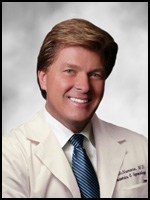 For quite some time, this Usana supporter, high level distributor, and former member of the Usana Medical Advisory Board has been illegally referring to himself as a doctor and an M.D. You’d think that management at Usana Health Sciences would be careful about these things, wouldn’t you? Nope. They’re Usana. They don’t have to. They’re Usana, after all. Credit Barry Minkow with uncovering another fraud being committed by Usana. Too bad that on May 31, 2007, Barry Minkow and Fraud Discovery Institute released a report indicating that Mr. McNamara does not have a license to practice medicine. He was forced to give up his license in Ohio after the licensing agency found he did not tell them (as required) that he had given up his license in Georgia. He lost two licenses, and has never been licensed in California, where he currently lives. A few days after the report which revealed Mr. McNamara is not really a doctor, he resigned from the medical advisory board of Usana Health Sciences. Helen Malmgren has written another article on Usana Health Sciences. Usana Health Sciences is throwing its latest temper tantrum at being exposed for the fraud it is. National Business Review reporter Helen Malmgren reported a few weeks ago on the Usana scam. Usana has replied with a letter that is little more than another “Barry Minkow lies” tale, with nothing of substance behind it. Usana: The New Milli Vanilli? No, I can’t take credit for this bit of brilliance. It was Zac Bissonnette over at Blogging Stocks. All Zac. Poor Usana Health Sciences. They just can’t catch a break can they? What with Barry Minkow and Company ruining things for them. You know… a few experts like me, Robert FitzPatrick, Dr. Manfred Kroger, Dr. Jon Taylor, Doug Brooks, Esq. Experts with real degrees, credentials, and credibility. 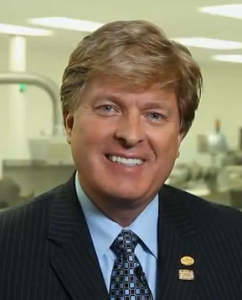 The Wall Street Journal is reporting that Ladd McNamara, a high level distributor for Usana Health Sciences Inc. has quit the company’s medical board following a report by Barry Minkow and the Fraud Discovery Institute that McNamara lied about his medical credentials. 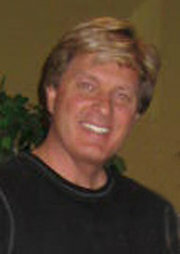 Usana Spokesman, Medical Advisory Board Member, and Distributor Ladd McNamara Commits Fraud? Barry Minkow and the Fraud Discovery Institute have just released a report indicating that Ladd McNamara, the Usana spokesperson, Advisory Board member, and high level distributor lost his medical license in Ohio due to fraud. It was previously reported by Minkow that McNamara was practicing medicine in California without a valid medical license. In a stunning release of previously undisclosed information, the ]Fraud Discovery Institute (FDI) released today documented evidence that the entire Usana Health Sciences, Inc. (Nasdaq:USNA) Medical Advisory Board secretly owns large independent Usana multi-level marketing distributorships.